Cold Feet. I played around with different titles for a while, and all of them were really long (eg: "You Might Have Heard This Story Before, But Actually You Haven't) (Not a real title.) The .docx file was called cold feet. I liked the name when I first came up with it, but then going to parties, people began saying, "Like the TV show?" I didn't know what TV show they were talking about (answer: this one) but the thing is, no author actually wants their new book to be "like the blah blah?" It has to be their book, because we are all narcissists and the world revolves around us. True story. Go hug a writer today, we're very sad people. And it's not a working title, it's a TITLE-title. I was up in the hills writing a bunch of short stories. (Bunch sounds wrong. Collective? A random?). I had been invited to a number of weddings that winter. One story became about a girl who is engaged but doesn't know how she feels about the marriage thing. It was a good story. Back in Delhi, my editors suggested I turn that into a novel. 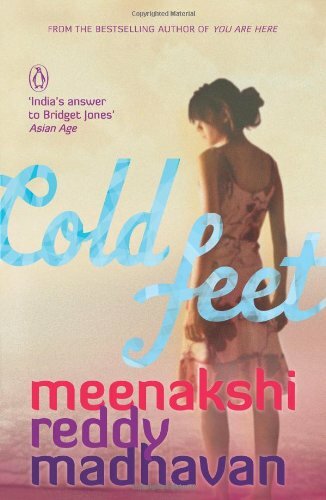 And I'd always wanted to write about parallel characters (Cold Feet is five different women) and about Bombay (the novel is set in Bandra) and marriages and the questions that besiege us in our twenties and thirties as Indian women, so I did. 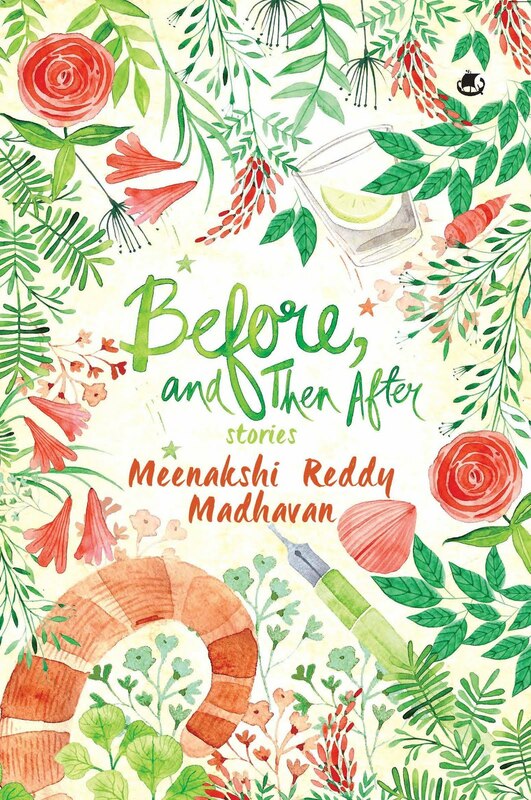 This is a book about five ladies, one of whom will make you think about yourself or someone you know, and their relationships. Out from Penguin in December 2012. Not long. Six months? I'm quite speedy when I put my mind to it. Plus this time I was far more disciplined and worked with a plot line so I could keep track of everybody. Um. Huh. I dunno. I want to say David Mitchell (I WISH, RIGHT?) but Marian Keyes maybe? It's a bit complicated in that like other multi-character books it goes on parallel timelines, BUT, it also goes a bit back-and-forth over time, so it's not all moving at the same pace. Wow, I can't believe I wrote it, actually. A lot of my friends are in that existential crisis period of their lives. Marriage! Babies! Houses! I like to think I'm a little less Life's Various Questions, but maybe this was sort of a way for me to figure out stuff too. Which story line am I and so on. There'd been books on Indian women and marriage and relationships before, but none about the ambiguous dilemmas you feel. So I wrote it. Also, I wanted to explore every single kind of attachment from escapism to flings to absolute commitment, and then friendship and families and being alone in a big city, and this was a good way of doing that. If you're not already piqued, you might not ever be. It's very different from You Are Here, structurally, language wise, form wise. It's an entirely different kind of writing for me, and so I'm concerned, yes, but also curious about how it's going to go down. (Hint: don't spend a day reading old bad reviews if you want to avoid feeling like a complete wreck about new projects.) I'm too close to it at the moment to tell whether it's awesome, but I think it might be? It's new at any rate. Read it! 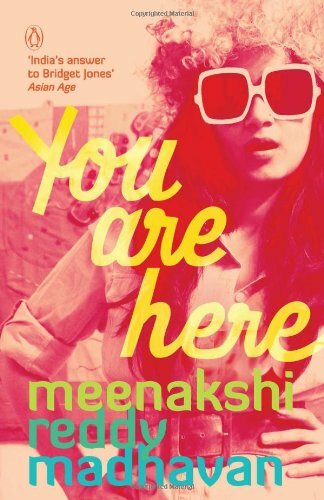 Meenakshi, i don't mean to be mean - because i really like your blog and mean well- but 1. i hope their lives all don't intertwine at the end of it and 2. i hope this isn't similar to Ladies Coupe in any sense. will it be available on amazon??? say yes..pleaseee...else i will have to wait till i come to india to get it. also can u please post where exactly will i be able to buy it?